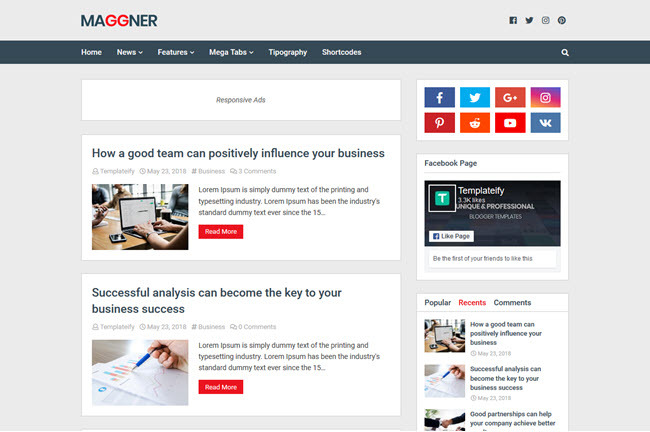 New Maggner is a professional blogger template, great for blogging tutorials, news blogs and other specific niches, New Maggner is fully customizable so you can adapt it to the features of your blog, it comes with SEO Optimized Beyond of its clean design, which allows your blog to load quickly, improving the user experience. Customizable Background and Main Colors. Video Tutorial - How to Setup New Maggner Blogger Template.